While in the Navy, I truly learned the value of respect, discipline, process, and teamwork. 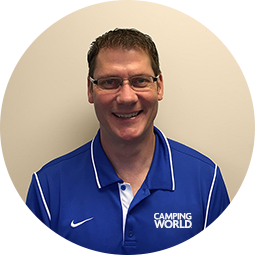 This preparation allowed me to further pursue my goals, which is why I chose to join the Camping World family in 2002. I was quickly able to see how my military experience would translate into the Camping World organization. Similarly to my military experience, I was going to be in charge of my own success. While applying much of the core training I received while in the military, I was awarded and recognized with advancement throughout my career. I am proud to say that the Camping World and Good Sam team actively recruits military professionals from across the country. I would highly recommend our career offerings such as Sales, Service, Finance, Parts, Administration or Insurance to anyone looking for a new venture! I am a Retired US Navy Chief Boatswain Mate with 21 years of service. During my time on active duty, I served in a variety of roles and developed many skills. When I began looking for a civilian career, I tailored my search for jobs that would take advantage of what I learned in the Navy. I became aware of the opportunities available at Camping World while attending a job fair at the Great Lakes Naval Station in October of 2015. 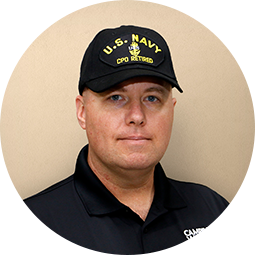 Within a couple of weeks, I joined the Camping World team and have really enjoyed being able to utilize my existing knowledge and experiences from the Military in my daily activities. This job has also allowed me to learn new things and overcome different challenges. I would not hesitate to recommend a job with Camping World to Veterans or Military Spouses. Much like the Military, you are rewarded for your hard work. I have been a military spouse for the last 8 years, and I can tell you it’s not the easiest position to be in while trying to build a foundation for your career. One of the biggest challenges after our last PCS to Columbus, GA was finding a company that would invest in my professional development with the understanding that I may have to relocate after a short period of time. I found that here and was supported from day one. 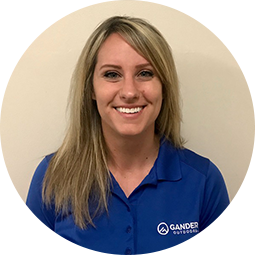 I joined the company as an Assistant Store Manager for Softlines when we still operated under the name Gander Mountain. Within 2.5 years, I received a promotion to Store Manager. As I grew with the company, I was supported by my leadership team and provided every resource available to be successful in my role. It means so much to me that the company still invested in me and my development even though I might have needed to PCS again. In 2017, during Gander Mountain’s bankruptcy and liquidation period, the company kept me on to transition with Gander Outdoors. Again, I couldn't believe the commitment the company had made to me when there was so much uncertainty. A year after the transition was made I moved into the position of Market Manager. This gave me the ability to not only continue to build my career with Gander Outdoors, but the Camping World brand as well. Under Gander Outdoors, the same level of support has been provided and I feel as though I have the tools needed to successfully run a profitable business and continue my growth as a leader. My husband recently retired from the Army and the reason we chose not to move back to the west coast was because of Gander Outdoors and the massive amount of dedication and support I’ve received from all levels of this company. I am a US Army Veteran that served from 2003 to 2013 in both the active duty and Reserve components. During my time in the Military, I was stationed in Friedberg, Germany and served in Operation Iraqi Freedom from 2006 to 2007. In the Reserves, I served as a training Non-Commissioned Officer for the 88th Regional Support Command Military Funeral Honors Team. After being honorably discharged from the Military as an E-5 in 2013, I joined the Gander Team as an hourly Shooting Sports Supervisor in Novi, Michigan. I chose to work for this company after transitioning because I saw a place I could utilize the skills I developed while serving in the military. These skills - leadership, training, and a passion for helping people – have served me well in my career in retail. After a year with the company, I was promoted to an Assistant Store Manager at the Utica, MI location. And a few years later I moved into my current role as the Store Manager of the Fort Gratiot, MI Gander Outdoors location. Working for Gander Outdoors has allowed me to take my passion for the outdoors and share it with our customers, helping them find what they need for their next adventure. 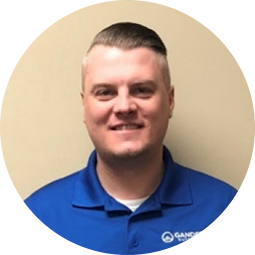 Gander’s leadership has been very supportive of me, recognizing my skills as a Veteran and helping me develop a vision for both my personal success as well as my team’s. I was a Sergeant in the United States Marine Corps and was honorably discharged in October 2001. 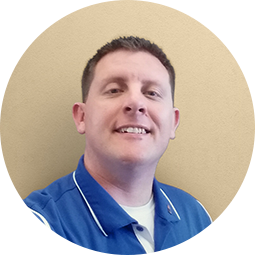 I got into the RV industry in 2002 as a Technician and joined Camping World as a Service Manager in 2012. The move to Camping World has been a great change for me and my family. I’m proud to say that I work with a great team who strives to constantly improve and reach the next level. As a Manager, I am continuously looking to employ Veterans. Their organization, discipline, and willingness to go the extra mile are exactly what we are looking for at Camping World. We have a number of Veterans currently employed at all of our locations who exemplify these qualities daily. I love working for a company that has Military Talent initiatives on their priority list.